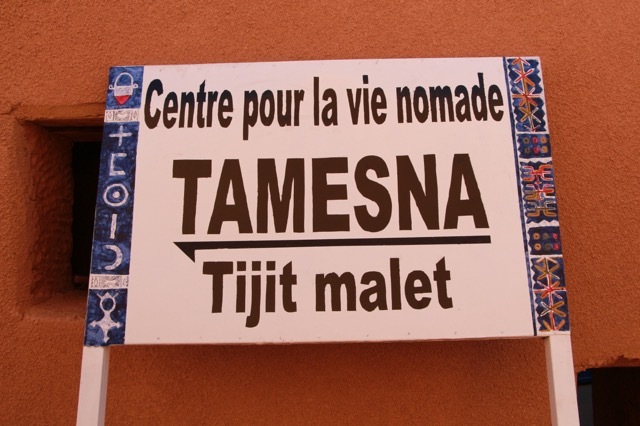 I finally got around to painting the new signs to direct people from the highway to Tamesna. Dr. Bob was not happy that I hadn’t added my decorative touch so here you are Bob. This is for you. 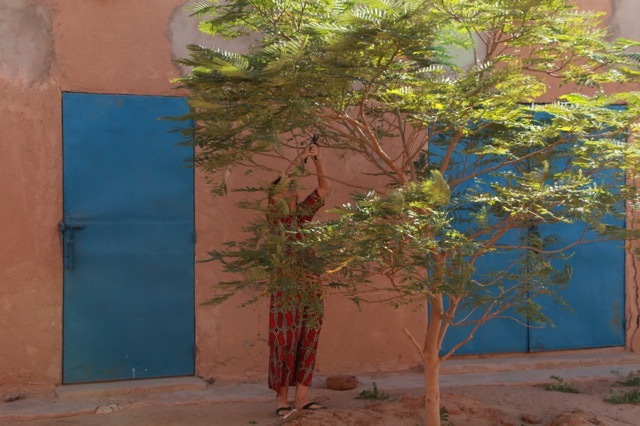 Trimming trees at Tamesna Education center. Hasso stopped by to say hi with his daughters. Since he is one of the invited musicians for the festival we were talking about that but also our plans for the future. Many of you know him since he has been to the US on Nomad Foundation tours four times and will be coming again when we premier our film. Next year we want to put together a guitar competition of young guitarists to encourage their music. We also want to stress that they must play only their own songs, to reinforce copyright issues which are so neglected here. And to give them an opportunity to expand their careers. We are hoping to make this international and invite a jury of the best Tuareg musicians who are now working professionally, plus some international experts and try to grow our festival into something that can encourage the return of tourism, boost the economy and promote work for youth.